Have you read the ingredients of grocery store granola bars recently? Even the ‘healthy’ ones have questionable additives. 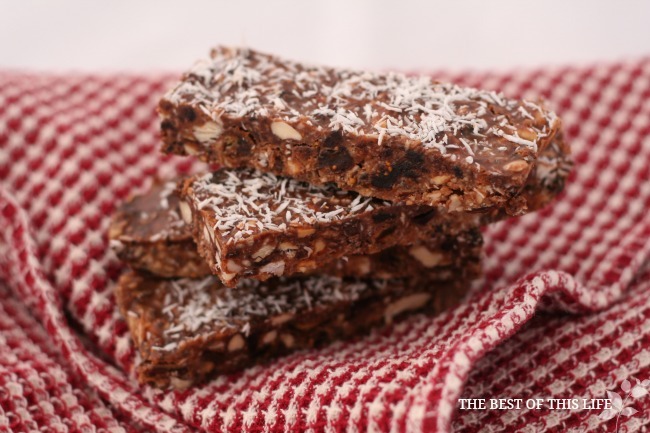 There are very few ready-made energy bars that are worth picking up; most of which are at my local health food store and come with a price tag. That said, on the fly a Kind Bar does the trick. Because of the additional sugar and preservatives that many traditional shelved goods have, opting for a home made (easy) version is a healthy choice! 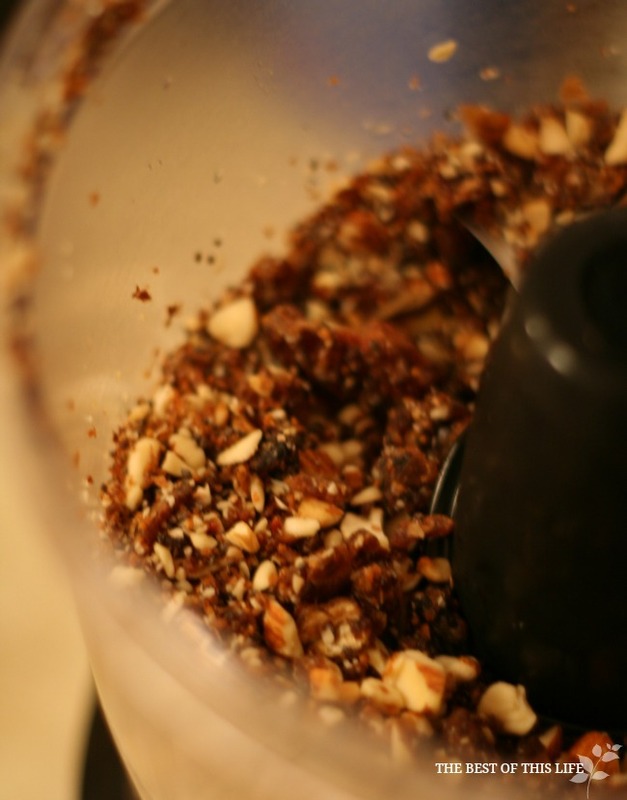 On a rainy day, toss all the dry ingredients into your food processor and watch them turn into one mess of a good thing. The blended goodness of unsweetened coconut, chia seeds, dates and almonds – combine to make a crunchy base, ready to merge with warm coconut oil, natural peanut butter, and topped with a bit of cool local honey. Can you taste it? They turn out rich, chewy and totally delicious. One energy bar for breakfast carries me through until lunch because of all its nutritious value. I will be making this for Spring park visits to come! If you cut the bars up and wrap them individually, they keep fresh in the freezer for up to three weeks. All you have to do is let them sit out for 30 minutes before you bite in. Little A. loves this kind, especially with the addition of coconut on top. Of course, you can make them just about any way, using your favourite ingredients. 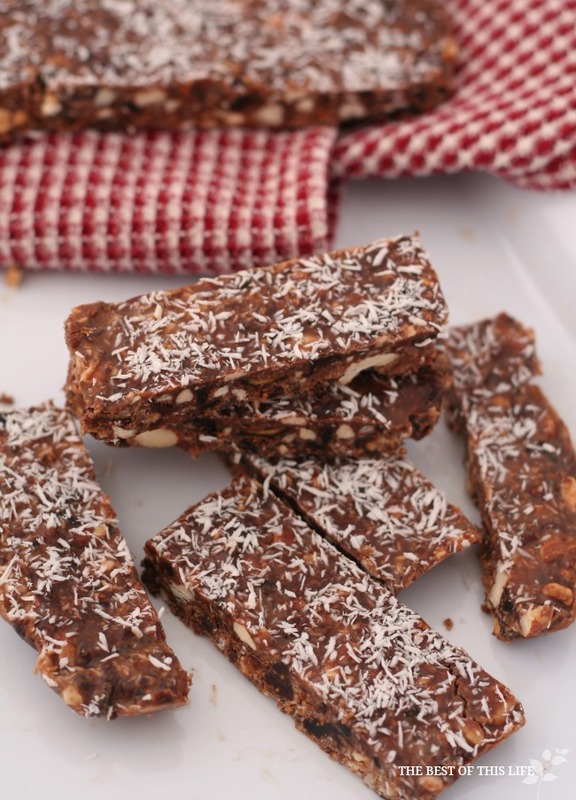 Healthy, nutritious and satisfying; these no-bake, refined sugar-free energy bars are an awesome alternative to store bought granola bars. 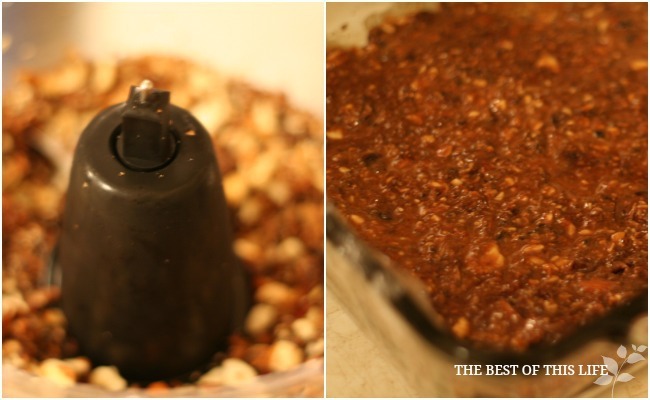 Add almonds, dates, shredded coconut, water and chia seeds to food processor. Process until ingredients form a meal (sandy, but not fine texture). On medium heat, over the stove top, combine natural peanut butter and coconut oil until smooth (about 2-3 minutes). Pour mixture over the meal. Then add the honey and raisins (or allergen free mini chips). Transfer to an 8 x 8 square baking dish, that is lined with wax paper or plastic wrap. Spread evenly and top with shredded coconut. Place in the freezer for 1h30 hours before removing and cutting the bars. Cut the whole in half, then in rectangles length-wise, for the look of granola bars. Optional: Enjoy Life Mini-Chips (allergen free). Wrap individually and store in freezer for up to 3 weeks. Store in fridge for up to 3 days, for ultimate freshness. Thanks Tina! This one was a kitchen experiment gone right! Yum!!! These look amazing. Can’t wait to make some. These look so good! I just made a batch of energy bites. It’s pretty crazy how much crap they put in “health” bars. These look great! 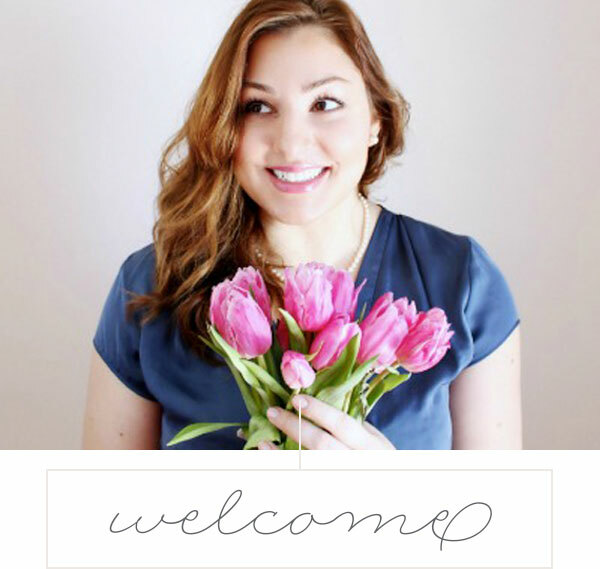 As does your new layout! Just made these and they are terrific! Great to take on a hike. I added some goji berries and enjoy life chocolate chips. Thanks so much!